Samsung mobiles announced the 2017 version of its Galaxy A series of smartphones. 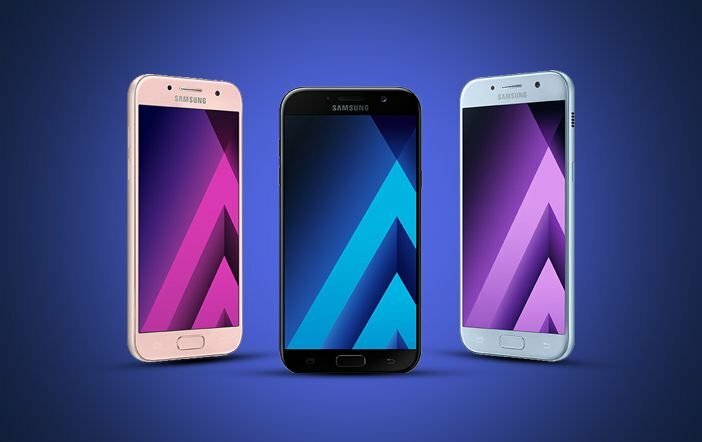 The Galaxy A3 (2017), Galaxy A5 (2017), and Galaxy A7 (2017) smartphones were likely to launch at a dedicated event on January 5 in Malaysia, but these smartphones are recently listed on company’s global press site. As per the press release, all three Galaxy A series smartphones will feature IP68 certification for dust and water resistance. They will run on Android 6.0 Marshmallow OS and feature fingerprint scanners on home buttons. 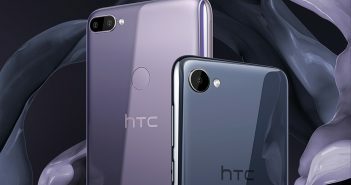 They will come with LTE connectivity, Samsung Pay support, USB Type-C connectors, and just 7.9mm thin size. The Samsung Galaxy A7 (2017) smartphone features a 5.7-inch full-HD (1080×1920 pixels) Super AMOLED display. It is equipped with a 1.9GHz Exynos octa-core processor paired with 3GB of RAM. It offers a 16MP primary rear camera and a 16MP selfie shooter, both comes with bright f/1.9 lenses. The storage on the device is 32GB which could be expanded via microSD card. It is backed by a 3600mAh battery with fast charging support. The Galaxy A5 (2017) features a 5.2-inch full-HD (1080×1920 pixels) Super AMOLED display. The device is powered by an Exynos 7880 chipset clocked at 1.9GHz and 3GB of RAM. The device boasts a 32GB internal storage which could be extended via microSD card. The Samsung Galaxy A5 (2017) offers 16MP camera at the rear as well as the front panel but the f/1.9 aperture is missing in it. The battery capacity of the device is also dropped to 3000mAh with fast charging support. The Samsung Galaxy A3 (2017) smartphone is the smallest smartphone from A series. It features a 4.7-inch HD (720×1280 pixels) Super AMOLED display. It comes equipped with a 1.6GHz octa-core processor with 2GB of RAM and 16GB of internal storage. The Galaxy A3 (2017) smartphone offers a 13MP camera at the rear and an 8MP selfie camera at the front. 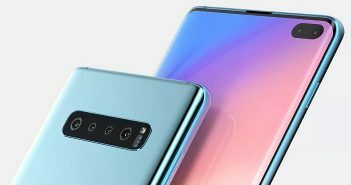 Both cameras feature f/1.9 apertures similar to the Galaxy A7 (2017). The device has a 2350mAh battery.